On Tuesday, 7 Jumada Al-Thani, 1440 A.H., His Excellency the UQU President, Prof. Abdullah bin Omar Bafail, launched the UQU "Do Not Lose It" campaign against smoking, at the students' activities administration building in Al-Abdiyyah campus. In addition, he inaugurated a mobile clinic for helping smokers to stop smoking, providing treatment for them. 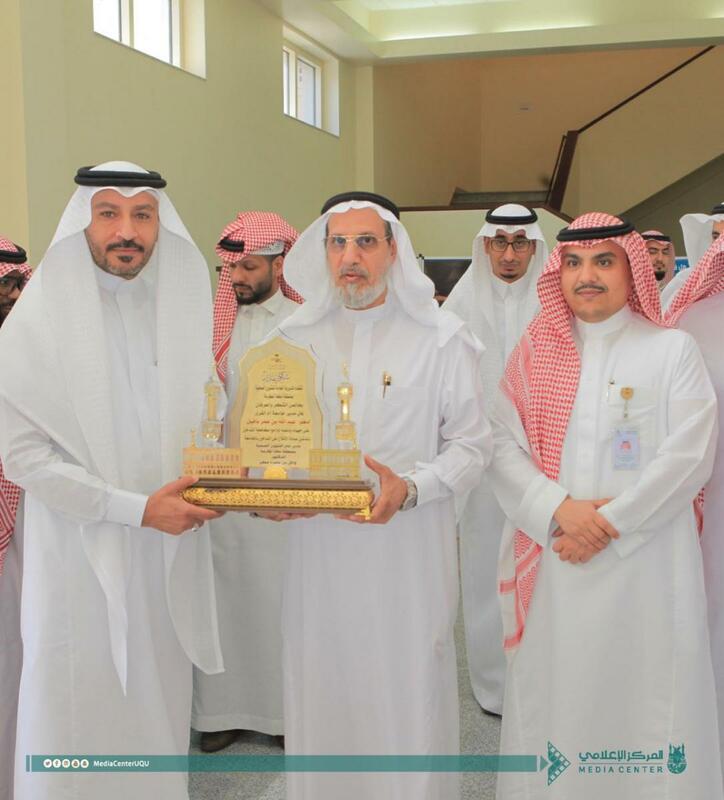 The campaign was launched in cooperation with the Ministry of Health, and in the presence of the General Director of Health Affairs in Makkah, His Excellency Dr. Wa'il Matir, and his assistant, Dr. Sari Asiri, the Director of the "Stop Smoking Association" in the Holy City, and the Chairman of the Combating Smoking and Drugs Committee, Dr. Mish`al Al-Salami, as well as the vice deans from the Deanship of Student Affairs. His Excellency also examined the clinic components, which included a number of awareness-raising and educational programs about stopping smoking. Following the inauguration, His Excellency praised the efforts undertaken so far. The General Director of Health Affairs in Makkah praised the constructive cooperation with the university in raising the awareness of the people about the risks of smoking. He pointed out that the inauguration of this clinic came as part of the programs and activities conducted by the Department of Health Affairs, in cooperation with the various agencies and sectors. He also added that more clinics would be inaugurated in many other departments, including the female students' section at Umm Al-Qura University. Moreover, the Chairman of the Combating Smoking and Drugs Committee at Umm Al-Qura University said that the clinic would offer services to all staff members and students, over the course of a whole year, on Mondays and Thursdays, at the students' activities administration building. Finally, he added, “The medical administration has contributed to the establishment of a clinical facility which has, among its objectives, the aim to promote awareness and health education about the hazards of smoking. The clinic will be supervised by Dr. Abdullah Al-Hifani, the Vice Dean of the Pharmaceutical College for Training."